Made famous by the FBI National Academy, the original 5.11 Tactical Pants were the genesis of 5.11 Tactical clothing and we’ve spared no expense or effort in ensuring that they retain the hallmarks of quality, durability, and performance that continue to define 5.11 Tactical today. 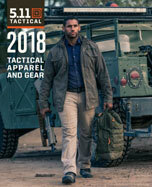 Specifically crafted as everyday armor for tactical operators of all kinds, including Swat officer, Soldiers, Patrol Officers, Contractors, and EMS / Fire professionals, we offer variations of tactical pants for men, women, and numerous specific industries. From covert cargo pockets for covert functionality and subtlety to reinforced knees and hems for harsh environments, we pride ourselves on offering the best tactical pants for a wide array of needs.